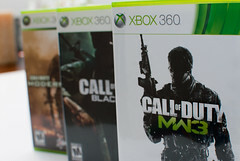 Modern Warfare 3 hit our stores ten days ago, designed to be a new marvel in the previously sensational series by Infinity Ward. Now I’m not sure what went wrong; whether it was the fact that Infinity Ward crumbled and joined with Sledgehammer Games, or some other technical issues I’m not aware of, but I was under the impression that Modern Warfare 3 was a new game. Now there are some good things about Modern Warfare 3. Its campaign is roughly ten hours (that’s being charitable, I played through on Veteran) of quick paced, fun gameplay. There’s some nice aesthetics and a range of different mechanics; from driving a military personal hovercraft to controlling a small remote-controlled assault vehicle. The main problem is that this is all the ‘unique’ gameplay that Modern Warfare 3 has to offer. For the other two games modes (Multiplayer and Spec Ops) it just feels like you’re playing on a Modern Warfare 2 map pack. Infinity Ward and Sledgehammer Games have been so incredibly lazy on many fronts of this game. The interface has been ripped out of Modern Warfare 2 and put into Modern Warfare 3 relatively unchanged. It uses the same menus, the same little box when you kill someone or get killed, it even uses the same damned font. Now come on, if you’ve got a budget the size of a Call of Duty title, you could at least change something in the interface to keep things fresh, because despite many people (including me) buying it, you’re gameplay simply isn’t going to. Saying that, they have tried to include two new game modes, only one of which I think can actually be counted as new whereas the other is just as if somebody’s played with the coding of Capture the Flag. Kill Confirmed is a really well executed new game mode in which, upon death, players drops their dog tags. The killer will get credit for the kill and their own personal points, but the team won’t benefit from the kill until the dog tags are picked up. However, if a member of the dead player’s team runs over the dog tags first, the kill is denied and they receive a point instead. First team to 65 points wins. I’ve spent quite a few hours playing Kill Confirmed, because it adds an extra level of gameplay to the overly used Team Deathmatch. Yes, it can be infuriating to kill four people only to be shot and have all four kills denied, but at the same time being the person who manages to deny half a dozen kills in the space of a few seconds makes it worthwhile. The other new game mode is Team Defender, a Capture the Flag based game in which the first person to die drops a flag. That flag then remains on the map and must be held by the teams for as long as possible. Anyone who played the older Call of Duty games will remember something similar to this, called Hold the Flag a few years back. It’s essentially the same mode except the flag doesn’t appear until some poor sucker runs into a barrage of lead. There are new game modes available in private matches but the majority of people I know aren’t in groups who play them, but if you’re one of the ‘lucky’ people who are you can look forward to six ‘new’ modes. Infected is the British Bulldog of CoD, where one player is infected and gradually infects other players who then join the infected team. There’s Drop Zone in which a team holds a drop zone to score points and receive care packages. Last of the original new modes are Team Juggernaut/Juggernaut which sees either two teams each with a juggernaught or a juggernaut against the rest of the players, fighting for dominance. Finally there’s Gun Game/One in the Chamber which former fans will remember from Black Ops’ wager matches. When it comes down to what’s important, people will always buy Call of Duty games. I bought this Call of Duty game and will probably buy the next one if it promises to be better. Whether it lives up to its promises will be seen after Activision have my money and start using it to fund the next game, and so the vicious cycle continues. However, when I don’t want to think, and when I want to take a break from working painfully through coursework and exam prep; I still find Call of Duty fun…and in that respect its a success. 2011 is the year of trilogy-ending instalments. Among the games with ‘3’ stapled to their titles this year was the one I was most looking forward to. For the past five years, Gears of War has been the driver of cover-based shooters. Many gamers see the Gears series as leading to generic shooters and a genre based on chest-high walls and slow, precise gameplay. The new gameplay elements make this instalment feel a little more fast-paced than the others, with the turning a bit more responsive and the balancing of the weapons to mean that, especially in multiplayer, there’s less emphasis on just running round with overpowered shotguns. The weapons have been changed so that they all feel fresh: the hammerburst has a unique first person iron sights mode, the new retro lancer has a bayonet charge as well as the traditional lancer with its chainsaw; and there’s a range of new weapons including the aforementioned retro lancer and the Oneshot: a sniper rifle that kills enemies in, erm, one shot. The game introduces four player cooperative play as well, which for some may be a really great addition to the series: for me it’s amounted to a painful amount of hours trying to gather up four people on Xbox live to get the sodding achievement for it. The single player campaign will take you somewhere between 10-15 hours depending on difficulty settings and your general skill, though if you intend to find all 57 hidden collectables/COG tags, you’re going to be there for a lot longer. some of them are excruciatingly hard (and I had to look up two of them online). I’ll go into them in more depth in a second, but Horde has now also received an upgrade, and I must say that Horde 2.0 is rapidly becoming an addiction of mine; and Beast mode is an all new mode with similar elements to Horde but you play as variants of the locust army out to kill the humans. They’re like Gears of War graphics have always been, with a bit more colour than brown. 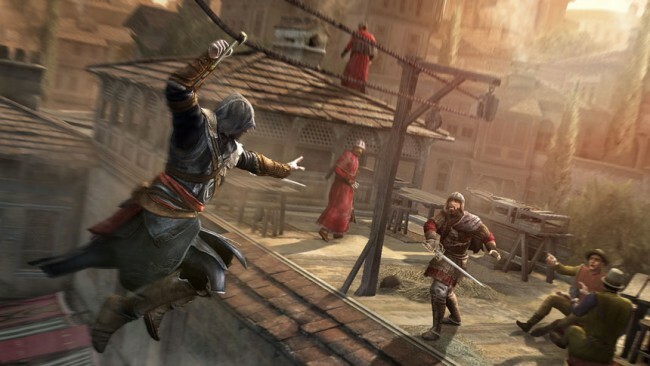 The settings this time around are largely more varied that in the previous games in the series. You get to roam around the underbelly and deck of a COG warship, the harsh streets of hammer of dawn-torn stranded territory, a tropical beach and a large destroyed holiday resort, to name a few. The game’s slightly more vibrant, with the dull greys and browns replaced by…well, often lighter greys and browns, but it’s Gears so you can’t really blame them. Normally I wouldn’t cover characters in a review but there are a few pointers I want to put out there, and a few things that made me chuckle. The game brings in a couple of characters that the player won’t recognise from the previous games. One of these is Jace, and the other being Sam. However, this is where Epic Games has been incredibly clever, because Jace was actually in Gears of War 2 (heard but not seen) and Sam, well that’s even more subtle. Samantha Byrne, a COG and new member of Delta in Gears of War 3, was introduced in Gears of War: Anvil Gate. That’s the third in a series of four novels based on Gears of War, a brilliant step to promote the canon material of the series and one I respect Epic Games for including. Another face that the players welcome in the newest instalment is Clayton Carmine, the third and oldest of the Carmine brothers. His armour, laden with the words “Grub Killer”, “Keep your head down” and “Practice reloading” offers a grim yet comical reference to his brothers’ fates, mirrored by the many near-death experiences he has in the course of the game. But the main question is, does he die? There’s a few surprises (provided you’re not up to speed on the novels) with some familiar faces returning. Horde 2.0 is a revamped, refuelled and revitalised version of the Gears of War 2 Horde mode. New additions include the ability to build fortifications around various ‘Command Posts’ and the inclusion of ‘boss levels’ every multiple of ten, which could spawn anything from a couple of berserkers to a brumak. Horde mode in Gears of War 3 is a thoroughly intense experience and is punishingly difficult in later levels, with the final level (50, as in Gears 2) being an infuriating dance with death on many occasions. However, there are few things more satisfying than placing a headshot on a defenceless drone caught in your barbed wire, or the squelch of a bullet leaving a Silverback and entering the bowels of an unfortunate locust. Beast mode is the all new, shiny addition to the Gears series. Instead of playing as your beloved COGs in the quest to quell waves of locusts, you’re turning the tides and playing as one of the variants of locusts instead. Starting with a choice of five (Ticker, Wild Ticker, Wretch, Savage Drone or Butcher) you fight through twelve waves of increasingly higher amounts of humans and ‘hero’ characters (main game NPCs). For everything you make go boom, you get more money to spend on bigger locust to cause even bigger booms. What’s not to love? The multiplayer in Gears of War 3 was hotly anticipated, with a generally well received beta testing and the promise of a more balanced experience. And it’s been pulled off relatively well for the most part. The maps are generally small, with distinct sections that are easily distinguishable and make the maps easy to learn. Unlike multiplayer modes in games like Call of Duty, you don’t unlock better weapons for levelling up. This means that players on level 100 have access to the same arsenal as those beginning the game. This makes the game all about your ability. Practice will get you better, and you don’t have to worry about someone coming up with weapons that are far more overpowered (we’ll leave the sawed-off shotgun debate well alone here…yes, I do use it). What’s more, due to the tweaking that’s been made to the weapons, the new multiplayer is no longer a shotgun free-for-all as Gears 2’s multiplayer became; the rifles are powerful and shouldn’t be overlooked. Ribbons and medals offer a good incentive to play the multiplayer, but Epic Games have really faltered on the key point of not making the ribbons and medals public. To me, this defeats the object of collecting such things for the purpose of ‘bragging rights’ if other players have no way of actually seeing the things you’ve achieved. There’s still hope that this may be patched at a later date, but I’m sure they have far better instalments planned for the DLC. While I am resting my review on a point of being an avid fan of the Gears of War series, I’ve always had nagging complaints about the game: horribly easy final boss battles, sluggish gameplay in places, and schizophrenic storytelling in others. However, I do say with quite some conviction that I couldn’t think of a better way for them to have wrapped up first Gears of War trilogy. Gears of War 3 is a smoothly executed game that has provided and will go on to provide many hours of brilliant gaming. Where there was once competition between FIFA and their competitor Pro Evolution Soccer (PES), FIFA now seem now have firmly regained control on the football game market. So much so that I, a non-football-game-player, picked it up on release day to give it a try. 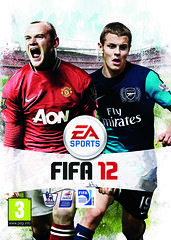 FIFA 12 is a testament to how games should be upgraded. The mechanics have been tuned up and the pace is sharper, more realistic and flows more dynamically than previous titles…or at least, that’s the plan. For someone who hasn’t picked up a new football game in more than three years, the game is truly punishing. In FIFA 12, they have introduced Tactical Defending, a defence mechanic that means you can finely pinpoint tackles and runs more realistically. For veterans of the game, this means that they can make their precise tackles look even more realistic and act more effective. For the rest of us it means that if you’re not precise, you’re going to lose…badly. The difficulty system is also slightly flawed. I play FIFA 12 on the Pro level, and get absolutely hammered. But I play on Pro for two reasons: Firstly, playing on any level below Pro means you’re exempt from any of the FIFA leaderboards, which is an annoying thing to include. And secondly, I find Semi Pro too easy. It’s a sign of a slight imbalance when I can go to a Semi Pro match and win 4-0, then change to Pro and lose by the same margin. Despite my lack of skill, FIFA 12 is still a surprisingly fun timesink and I’ve already put many hours into the various modes that are available. The ‘Be a Pro’ category is now simply quick matches, whereas the Career Mode lets you choose between playing your career as a Player, Manager or Player Manager. The transfer system is better than in previous games and I’m quite fond of the scouting system as well. The season runs on a day-by-day basis and during the simulation between days you’ll regularly receive various emails from the board of directors (manager), other teams with negotiation offers (manager) or your manager (player). These are usually quite informative, but can also be unnecessary. For example, when a player gets a red card during one of the games I played, I then received an email from the manager letting me know … we were both at the game, I saw it too. Then there’s FIFA 12 Ultimate Team, which is another additional game mode of some worth but isn’t really explained too far beyond “Like manager mode but you buy cards which represent players/kits/badges/staff etc instead of actually buying those things”. Instead of transfers, you buy new player cards from the ‘Store’ in packs of Bronze, Silver or Gold; alternatively you can search on the in-game auction to pick up specific types of player/staff/consumable. It can become a bit annoying needing to purchase contract cards to keep your players able to play, and the whole setup just feels a little bit pointless to be honest. I did doubt the lack of a manual when it came to things such as player development and skill moves but FIFA 12 appears to run on a ‘pick it up as you go along’ ethos. Overall, the game will give you a good stint of gameplay, but don’t expect it to welcome you with open arms, unless is tempts you into sucking up your ego and dropping the difficulty. And so after that favourable introduction, I’m going to take you through the world of the DLC, the extinction of the expansion pack and the money-grabbing, soul sucking machine of EA. And roll the credits…or the logo…or whatever. The phrase ‘DLC’ is one that’s only really picked up over the last couple of years, despite the fact that downloadable content has been around since the Atari 2600’s GameLine service, and has evolved from telephone line downloads to the present wave of console and PC-based downloads. DLC has gained popularity in a huge leap recently and has led to such additional injections of game substance being hailed as the new way of development. The vast majority of game developers now have to be considering the use of DLC to increase the span of their game’s life cycle. In an industry where a game’s experience can usually last anywhere between 8-40 hours, developers found DLC an easy and now seemingly mandatory way to expand the player’s experience. DLC can range from simple one-mission packs (Such as the ‘cases’ in L.A. Noire) to entirely new sequences and mini-storylines (Such as the DLC packs for Borderlands). For some gamers and game critics, DLC is seen as a con, a new movement by the gaming industry to withhold content from a retail release only to then sell it on for an extra profit a month or two after the release date. I don’t see this as being true…entirely. DLC allows for a game developer to add pieces to the story that never quite fitted in. It’s their chance to explore new, stand-alone possibilities after the credits have rolled. 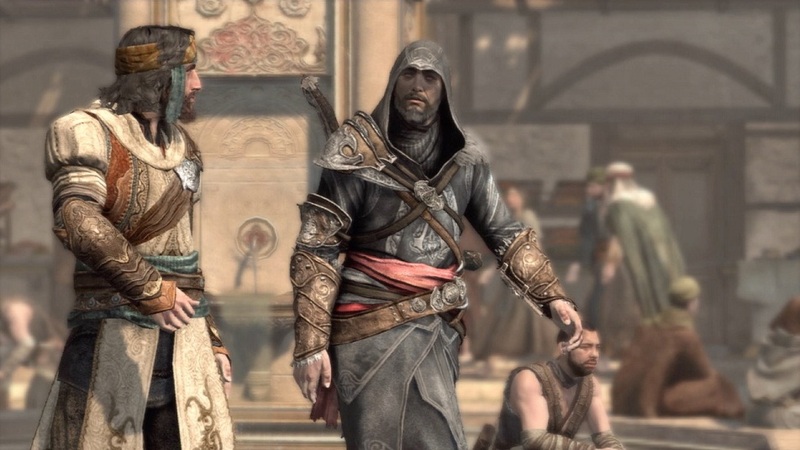 The DLC released usually has nothing new to add to the original story and is generally based on new pieces of lore. 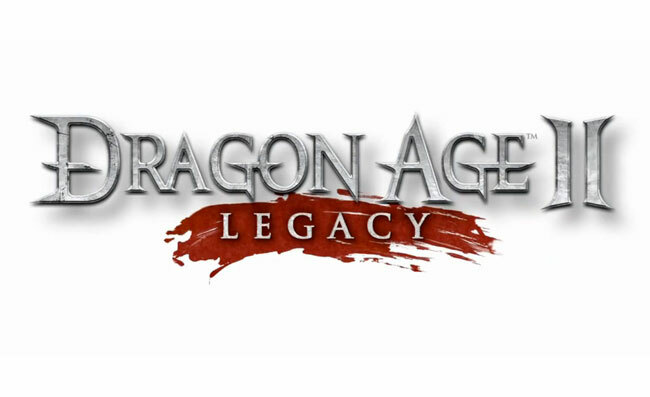 Take the debut DLC for Dragon Age 2; Legacy takes the player into a new location, with new enemies in an attempt to gain knowledge about Hawke’s (the main character) father, and how his life affected the actions in Dragon Age 2. Everything about this screams DLC; it wouldn’t have fit seamlessly into the game, but as a standalone adventure to be played separately from the storyline it works so well. 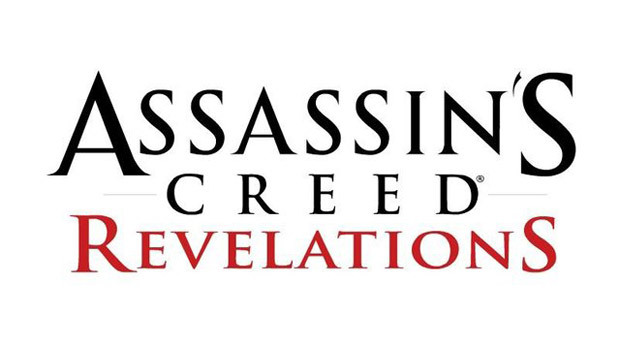 So in the new rush of DLC, the games industry seem to be forgetting their old ways, leaving behind the ‘Expansion Pack’; retail releases of extra content for games. While many developers still do release physical copies of their DLC, it’s not the same as when games like Oblivion and Rome: Total War released their expansion packs and it’s often a secondary, higher priced alternative for those unable to download the content from their console/PC. The expansion pack is a dying concept, although like all dying concepts there’s always at least one fanboy who never wants to let go. And in this case, it’s actually a publisher. EA are infamous for being money hungry, with their £10 map packs for Call of Duty, their disregard for pre-owned title gamers and their new stunt of charging £5 more for Call of Duty: Modern Warfare 3 in England than comparably in all other countries; but in this article I’m focussing on their desperate hold on the expansion pack. After all, an article ranting about EA could be twice as long as this and still be incomplete. The Sims, developed by Maxis and then consumed by EA, has always been a game that thrives off its add-ons. If people want a prime example of developers holding content, this is where you should look. Each new base title (The Sims, The Sims 2 and The Sims 3) comes with the bare essentials to run the game, and then is expanded through packs that provide holidays, pets, magic, business etc. However on each ‘reboot’ of the franchise, all of that’s taken away until you buy the next chain of updates. The Sims 3’s expansion packs also retail at full retail price, coming in at around £29.99 in the UK. And the new expansion…pets…again! The Sims gave us expansions of all variety, from simple additional content in ‘Livin’ It Up’ to the ability to have pets and travel around in ‘Unleashed’. Perhaps the most inventive expansion pack was ‘Makin’ Magic’. The Sims 2 had a similar series of expansion packs, including ‘Pets’ that allowed you to get animals again, and my favourite expansion of all ‘Open For Business’ that allowed you to run home businesses and buy real estate. However, now that The Sims 3 is steadily rolling out expansions, we’re seeing a dire lack of imagination. It’s the same expansion packs just upgraded slightly each time. If you don’t believe me, check this. Holidays: The Sims: Vacation, The Sims 2: Bon Voyage, The Sims 3: World Adventures. Pets: The Sims: Unleashed, The Sims 2: Pets, The Sims 3: Pets. I mean all’s well in them keeping content, but release it in the core game, save the expansion packs for original content. Those are the great ones. The Sims: Makin’ Magic,The Sims 2: Open For Business, The Sims 2: University, these were great expansion packs. So EA, drop the repetition and the shameful withdrawal of content on release, and give us originality, new and exciting ways to play and most important of all, catch up with everyone else. In this new age of added content, EA are falling out of the trends, in the hope of scoring that all important revenue stream they care about seemingly more than their gamers. Today came the news that Gamestop, the largest retailer of videogames in the world, have pulled the new Square Enix release ‘Deus Ex: Human Revolution’ from shelves. This decision was made by Gamestop due to the waivers that came packaged within the box. These waivers gave customers back the difference between the retail price of the game and the price of the game on the online streaming service ‘OnLive’. Gamestop reported that they were not told about these coupons inside the cases and as such began to open the sealed cases and remove the coupons, when customers began complaining about the broken seals caused by Gamestop’s decision, it’s reported that many Gamestop stores have taking the game off its shelves to be returned to Square Enix. So, is this a bad move by GameStop, or could it work in their favour? What do you think? Leave a comment below and give your views.